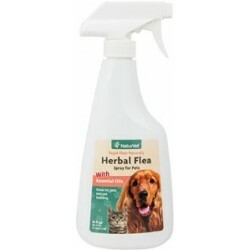 Contoured to fit the shape of your cat's body! You can feel good about giving your cat this fish bone! 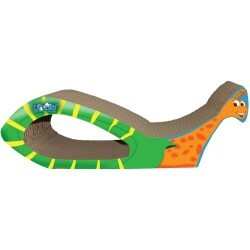 Not only is this cat scratcher environmentally friendly, it is also cat friendly! 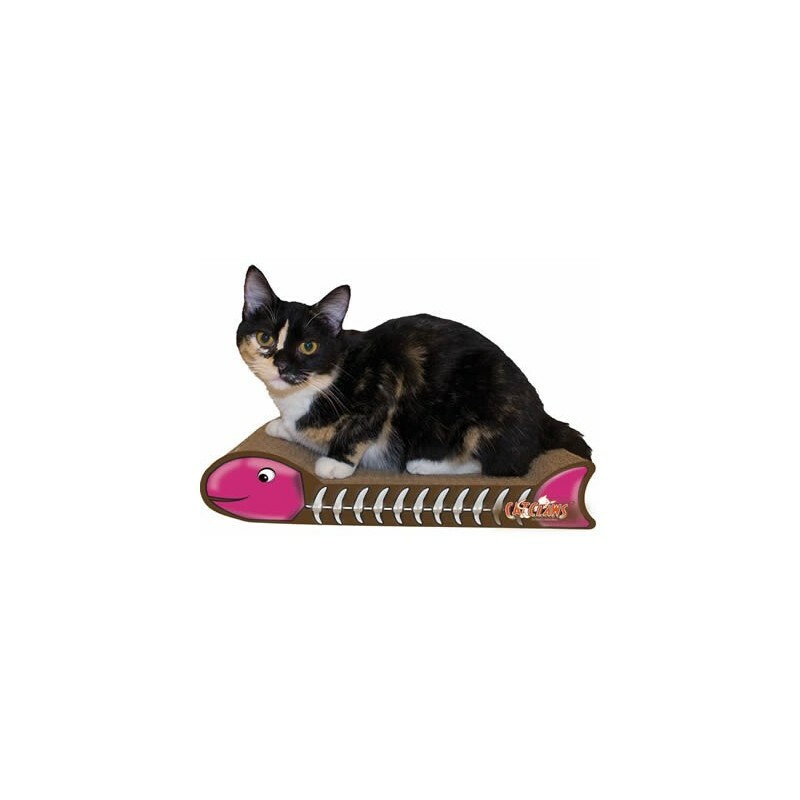 This cat scratcher is made with your cat in mind; the Fish Bone's corrugated cardboard is contoured to fit the shape of your cat's body.
' M.A.X. 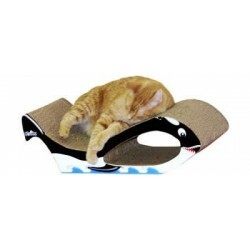 Cat Scratchers provide a place to scratch, sleep and play.
' M.A.X. 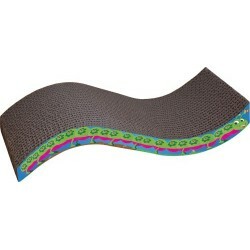 Cat Scratchers come in hundreds of fun shapes, designs and colors!
' M.A.X. Cat Scratchers come with our famous 100% pure Cat Claws Naturally Nip Catnip for safe, natural kitty fun!
' M.A.X. 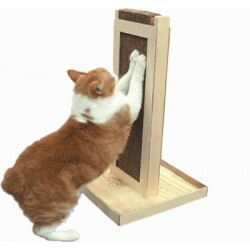 Cat Scratchers allow for visual scratch marking, a big reason why cats need to scratch.
' Cats will stop scratching your furniture and scratch the M.A.X. Cat Scratcher - we guarantee it! M.A.X. 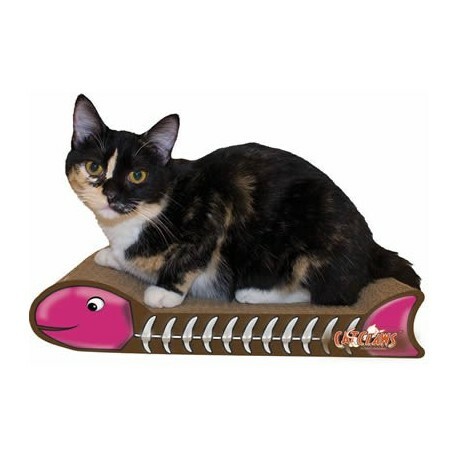 Cat Scratchers are made in the USA from renewable corrugated cardboard and are completely safe for your cat. They can be recycled and come with our famous 100% pure Cat Claws Naturally Nip Catnip - a feline favorite for over 30 years! M.A.X. 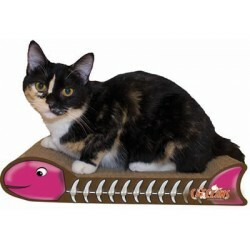 Fishbone Cat Scratcher comes in assorted colors, please allow us to choose. Measures Approx 15 3/4" L x 9" W x 3 3/4" H.